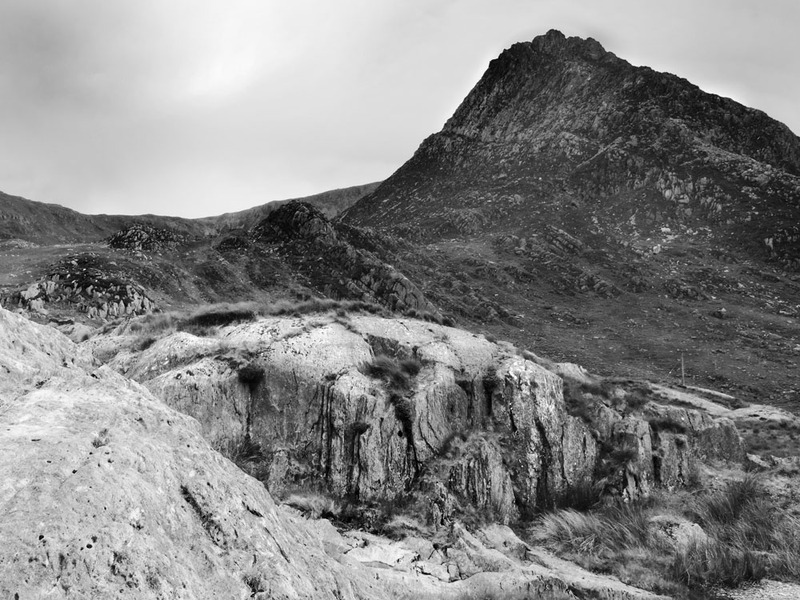 Near and Far Rocks, Tryfan. The first image is of an ink, watercolour and crayon piece on paper, created by John Piper circa 1950. The second image is a photograph of the landscape depicted in John Piper's painting. This was taken by Amgueddfa Cymru / National Museum Wales in 2014.
fore-ground, the ‘near’ rocks. At the bottom of the composition is a stream called Nant Gwern y Gof. 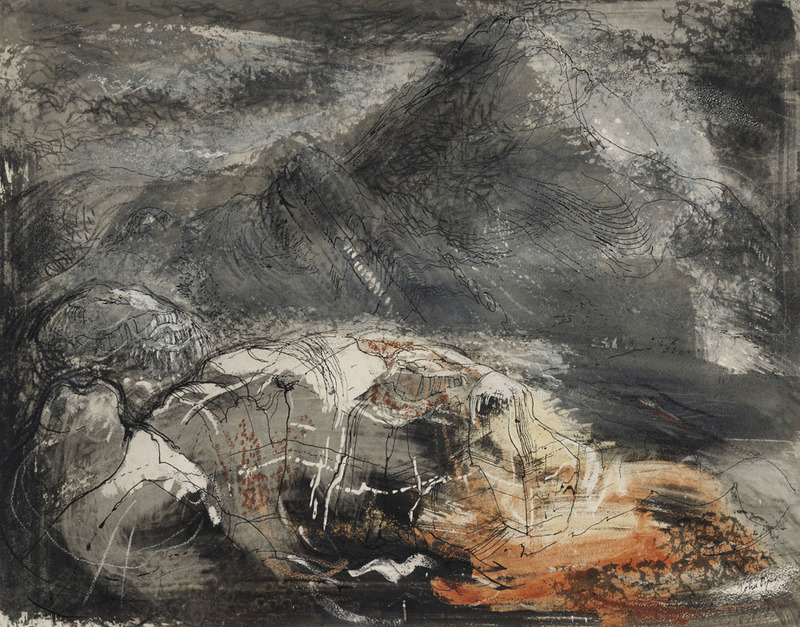 Near and Far Rocks, Tryfan, wasexhibited at the Bucholz Gallery, New York in 1950 along with many other scenes of Tryfan, including Jagged Rocks under Tryfan and Rock Formations.